The Paoline Tower in Nonza, Corsica, built in the 18th century. It features in The Corsican Widow. 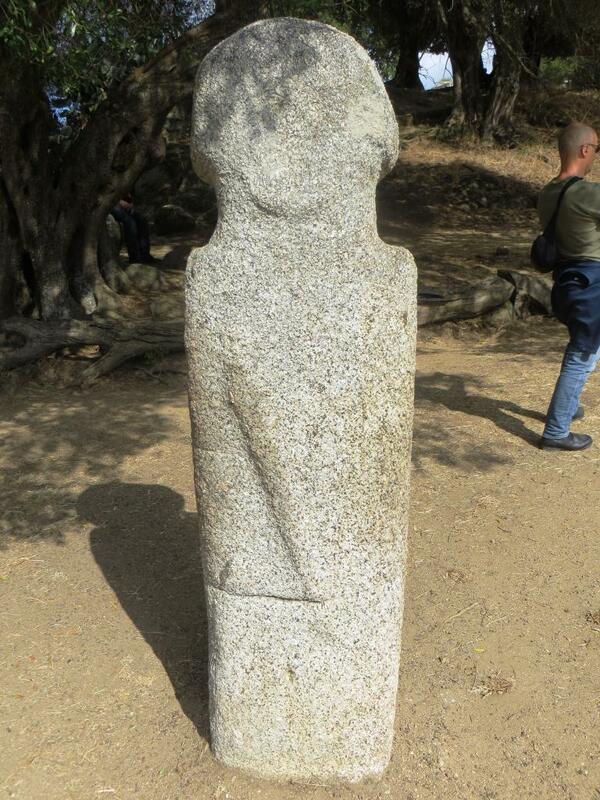 Menhir at the prehistoric site of Filitosa. Did they invest their statues with supernatural powers? The Corsican people have always held strong beliefs in the supernatural and magic, which predate the modern Catholic religion by a long way. The spirit world was, Corsicans believed, never very far from ours and the two coincided at certain times.